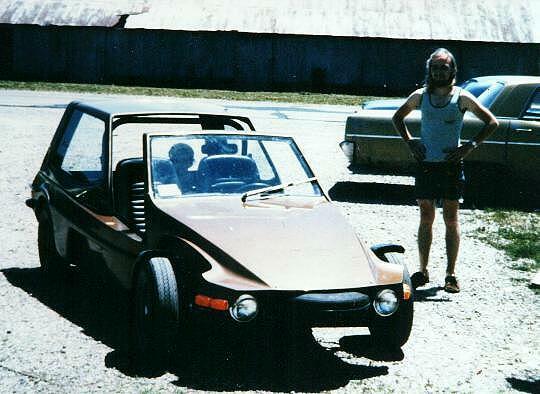 Back in the 1970s, I worked at a place called Dragonfly Cars. I apologize for the quality of these photos - I copied them from old slides that weren't real good to begin with and haven't aged gracefully. 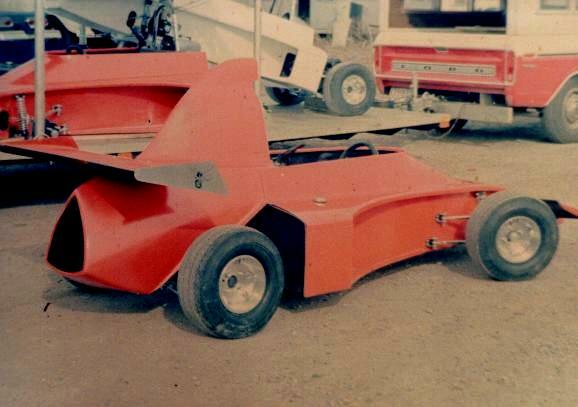 The first Dragonfly cars were a set of 10 mini-Indy race cars built for a track being opened by Bob Bondurant in California. 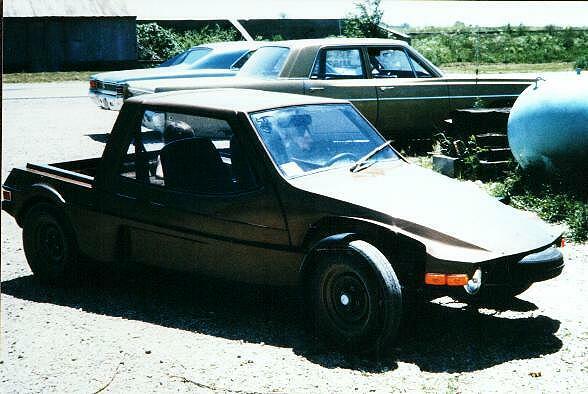 Four wheel independent suspension, all-composite monocoque chassis, and THREE disc brakes! 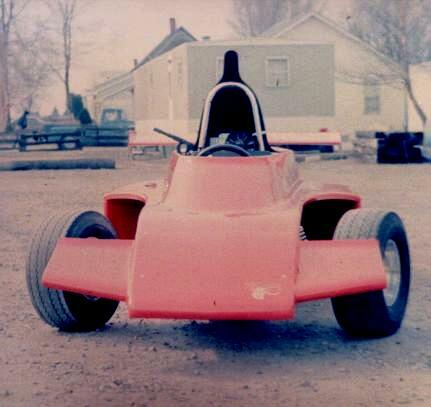 ...and a rear view of the little Indy car. 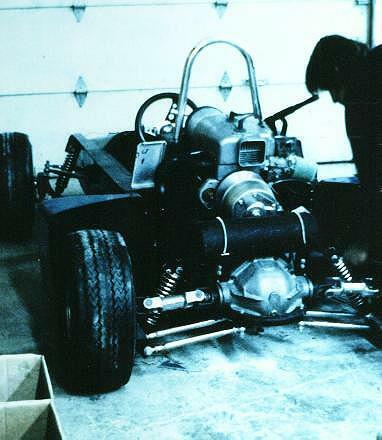 In this rear view with the body off, you can see the 2-cylinder engine and the independent rear suspension system. 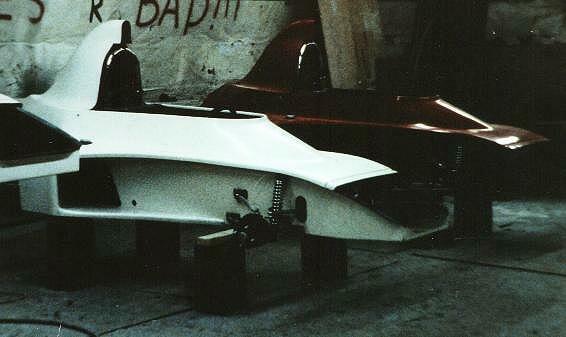 The back end had only one disc brake, located at the front of the differential... the front had two conventional discs. A true assembly line! We built no less than NINE of these cars at a time! Unfortunately for everybody concerned, nobody had figured out yet how to run a track like this without damaging the cars. They lined the course with hay bales and had put every car out of commission with damaged front axles on the first day. And here it's closed and ready to go. 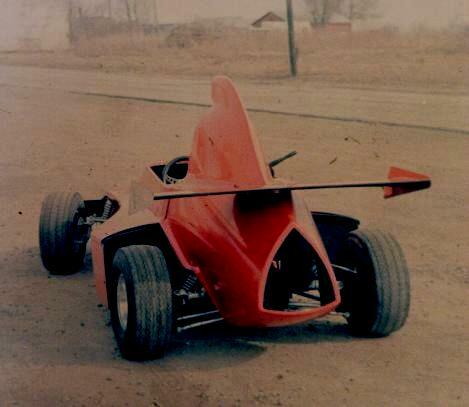 The owner of the company was a guy named Steve Norcross, who had built some nice D-sports racing cars in the early 70s and has done some other interesting stuff since.